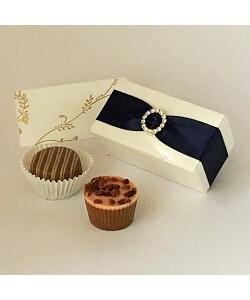 A sophisticated favour box featuring a beautiful sparkling diamante buckle mounted on a luxurious satin ribbon to coordinate with your colour scheme. 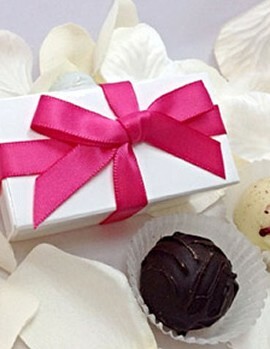 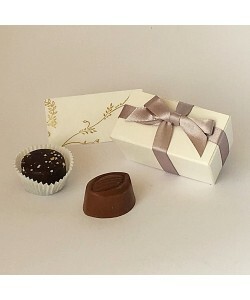 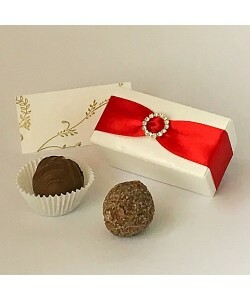 Supplied table ready and filled with two delicious premium quality chocolates. 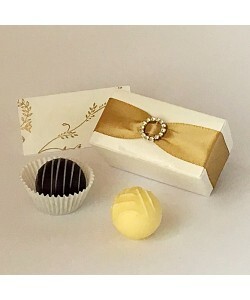 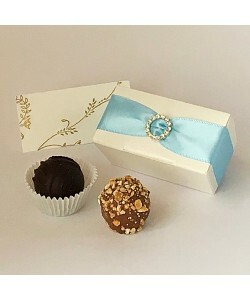 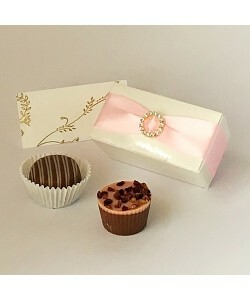 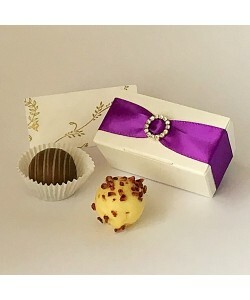 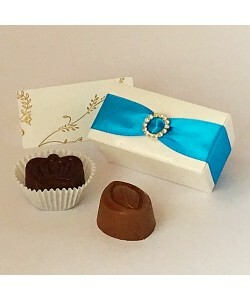 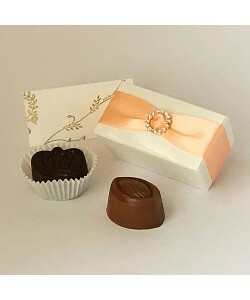 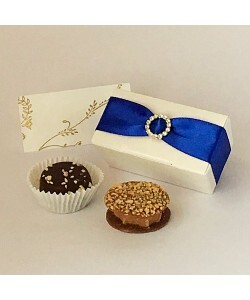 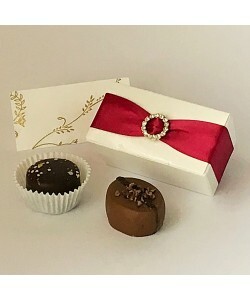 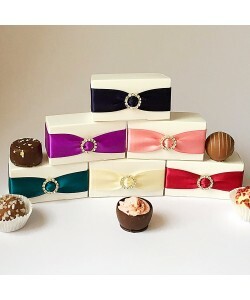 Click to view a selection of ribbon colours, chocolate fillings and to order your 2 Choc Diamanté favour boxes.